Our boutique style 3 day PADI Open Water Course is customised to your needs with typically only 2 participants but never more than 4. 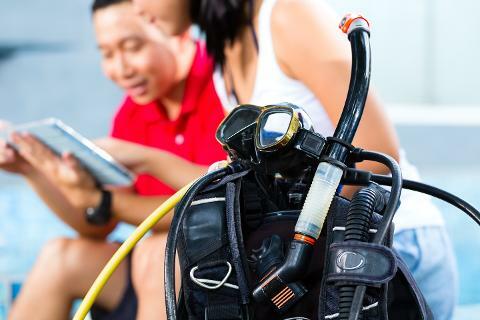 You can start right now on your computer or tablet via the PADI Touch Tablet application. You will conduct some self-study in your own time, watch short video clips and complete some quizzes and knowledge reviews. The online and touch applications are simple and guide you through the process. Once complete you will book in for your 3 day practical training session with your PADI Instructor. Day 1 starts in the Swimming Pool, where you practice basic scuba skills. This session will take between 4hours and 6hours depending on how much practice you require. There is no rush! Day 2 will have you conducting your first 2 Open Water Dives. Day 3 will be your final day of the course where you conduct your final 2 Open Water Dives. Day 1 is always on a Sunday. Days 2 and 3 will be both days of the following weekend. We conduct Pool Training in Greenslopes. Boat Dives are conducted at Cook Island. Do I need any Scuba Equipment? NO – However for hygienic and comfort reasons we strongly recommend to purchase at least your own mask and snorkel as. Ask us for a deal along with your course or whether we have any current promotions. As our student, we offer you a massive discount on our mask range which saves you up to 30%. Where from here once I am certified? Now you are part of the Scuba Coach family and we will look after you for the years to come. Once certified it is vital to keep diving immediately. The Scuba Coach runs dive trips nearly every weekend which will give you the opportunity to build up your confidence and to stay in touch with your instructor. Browse our trips on our Facebook page. Whilst you keep diving with us, you should upgrade your certification to PADI Advanced Open Water Diver and dive up to 30m deep. We will help you finding the right gear at the right price with our price match guarantee exclusively for our ex-students. 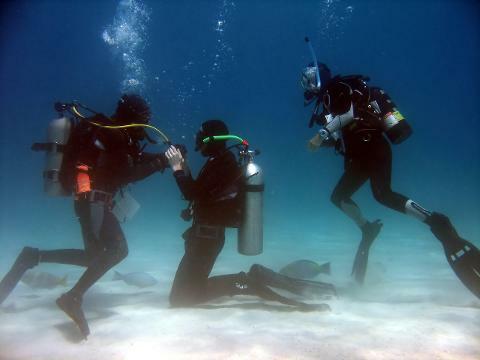 No dive medical is required unless you have answered 'yes' to any of the medical questions. Small groups of usually 2 students but never more than 4, or One-on-One!! 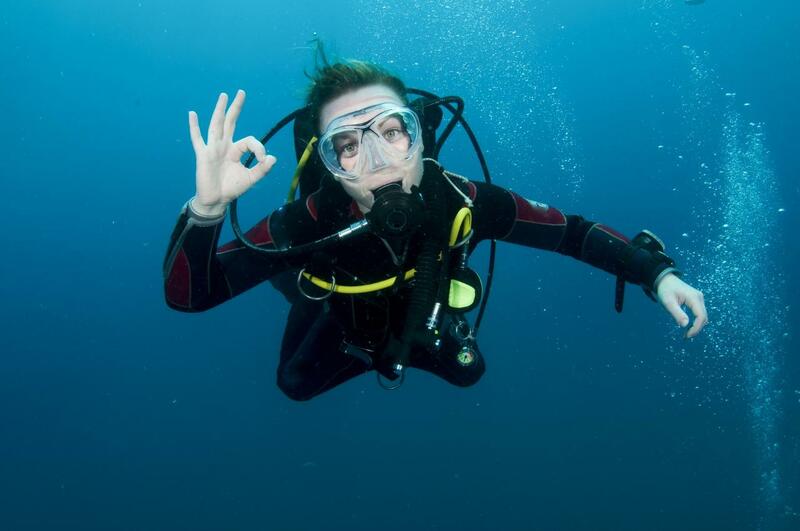 Unlike many other dive centres, we do not believe in diving courses with 8 or more participants. We want to provide you high quality and personalised training. We conduct courses over 3 days rather than 2 as we want to ensure you receive the best possible training. We are flexible as no one else. We can tailor a course around your needs and split your training in several sections and over as many days as you want. We require 50% deposit at the time of enrolment which will give you access to the PADI eLearning or Touch Application. Because you receive the course materials, this portion of the course in non-refundable but you can transfer to another instructor if desired. The final payment is required as soon as your practical session date is confirmed. Full payment is required if booked within 14 days of the course. Remember that you have to complete your self-study prior to the practical session. Give yourself sufficient time before committing to the date. We suggest at least 2 weeks. 10% to 30% off most articles on www.ScubaOnline.com.au for the duration of your course.